Poverty in France’s Muslim communities should elicit public dismay, and not just because it’s among the factors that may have motivated Charlie Hebdo’s attackers. The Charlie Hebdo massacre has set the “Clash of Civilizations” narrative onto a freewheeling collision course, with irreverent cartoonists catapulted into free-expression martyrdom, xenophobic rhetoric vilifying Islamism as a “cancer” on “the West,” and elsewhere in the world, fundamentalist backlash against Western blasphemers. Et patati et patata—waves of reaction ripple out in all directions. But the mass anxiety over “Eurojihadism” tends to promote confusion rather than clarity on what really drives France’s “Muslim problem,” and obscures the need for a nuanced public discussion. One prominent theory about Islamist extremism in Europe is that it is rooted in social alienation. But in debates on the intersection of religion and security, simply blaming a lack of “integration” assumes a pathology among a certain segment of disenfranchised Muslim youth, without interrogating what “integration” actually means to different communities (Cultural homogenization? Secularization? Civic participation?). Of course, many French youth of immigrant and Muslim backgrounds do suffer systemic social ills, but the threat of terrorism is not the reason to care. We should care because it is wrong for a democratic society to marginalize vulnerable people through institutionalized discrimination. 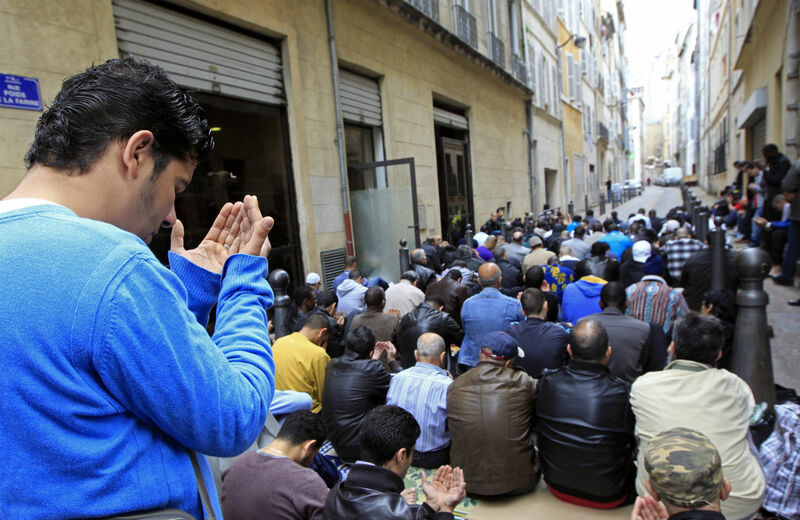 If there is a crisis pervading French Muslim communities, it is not budding jihadism, but entrenched segregation and socioeconomic instability, which ultimately present a more extreme menace than extremism. Two of the Charlie Hebdo attackers, Algerian-descendent brothers Cherif and Said Kouachi, were not the offspring a un-integrated, conservative Muslim home, but rather, wayward products of the French foster care system. The real problem with extremism lies in the mass public reaction to singularly horrific acts, which tend to solidify distorted stereotypes and fuel social strife. Rising far-right movements like Germany’s neofascist Pegida and France’s Front National are milking the Charlie Hebdo killings to stoke jingoistic reaction. FN chief Marine Le Pen recently proclaimed in The New York Times that France was under attack by “totalitarian ideology” and called on French Muslims to prove their loyalty to the West. The climate of hyper-nationalism, by feeding off fear, ignorance and a crusade mentality, threatens to eclipse the very ideals of laïcité and liberté the West claims to embody, thus mirroring the very fundamentalists these campaigns demonize. Yet that does not keep many French Muslims from adopting those ideals as their own. According to a study by researchers Natalie Delia Deckard of Emory University and David Jacobson of University of South Florida, surveys of French and British Muslims indicate a strong identification with their respective countries, but the French group by some measures reported a comparatively deeper identification with French society and culture. In contrast to stereotypes, “the French were likely to agree that their primary loyalty was to France and were most likely to strongly disagree with the idea that the French government was hostile to Islam.” French respondents displayed a stronger belief in a secular judicial system, as opposed to sharia law. And economic grievances don’t really explain extremism, either. While studies do broadly link structural economic discrimination to patterns of social isolation and unrest in immigrant communities, on the individual level, there is no clear connection. To the contrary, another study by Delia Deckard and Jacobson ties radical jihadist tendencies to prosperity: “those that feel more affluent are more likely to espouse radical beliefs.” On the other hand, unemployment, separate from class background, does tend to correlate with extremist tendencies. Myriad social and cultural factors are always at play in instances of radicalization, but the bottom line is that identity formation is a nuanced process, impossible to explain with simplistic pathologies about immigrants or poor folks. Who knows? Maybe a stable, unified, politically engaged working-class immigrant community is organically more protected from harmful ideologies than, say, an atomized, bourgeois society fraught with bitterness and self-absorption. Maybe the central challenge for every liberal democracy is to test that hypothesis. The best form of “counterterrorism” is to render terrorism obsolete, by creating the conditions for people to live and express themselves freely, and pursue dignified, meaningful livelihoods with equal rights. French Muslim youth, however, witness their communities ravaged daily by epidemic unemployment and institutionalized racism—forces more destabilizing than the supposed specter of jihad. Yes, the public should be concerned about their alienation—yet not because they are potential security threats, but because they shouldn’t have to live in a society that threatens their existence. Their marginalization doesn’t engender murderous ideologies, but can push communities toward civic death.